Whether you're a newbie runner trying to lose a couple of pounds or a seasoned athlete looking to get in better shape for the upcoming season, losing weight can be an important part of your overall training as a runner. But, sometimes, simply running more miles just won't cut it. From workout tweaks to dietary adjustments, here are six experts' take on what you can do to achieve quick weight loss as a runner. Research shows that individuals who eat the most calories before noon actually eat the fewest total calories over the course of the day. It seems that eating a hearty breakfast reduces appetite in the afternoon and evening. In a recent Brazilian study, obese women who ate a large, 610-calorie breakfast every morning lost 21 percent of their body weight over an eight-month period, while obese women on a low-carb small breakfast diet lost only 4.5 percent of their body weight. The women on the big breakfast diet reported less hunger and fewer cravings throughout the day. As a general rule, try to consume eat least 25 percent of your total calories for the day within an hour of waking up. Experts used to say. stay off the scale—it can be discouraging. 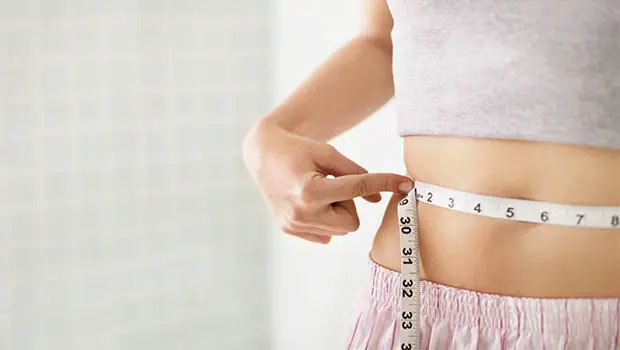 But after studying 3,500 individuals from the National Weight Control Registry (NWCR) who've maintained 60 or more pounds of weight loss for at least a year, researchers found that 44 percent weighed themselves daily. Unhealthy obsession? "No," says James Hill, Ph.D., NWCR cofounder and director of the Center for Human Nutrition at the University of Colorado. "'They use it as an early warning system for preventing weight regain," he explains. "If your goal is to keep your weight at a certain level, you have to have feedback to see whether you're successful." However many miles your longest run is now, extend it once a week. According to the National Runners Health Study, which includes more than 120,000 runners, women who ran the greatest amount of weekly mileage were the leanest. "There's no question, the more miles you run, the more calories you burn," says Mindy Solkin, a running coach and founder of The Running Center in New York City. "You burn roughly 100 calories per mile when running (depending on your weight), so if you go for a five-mile run, you'll burn 500 calories."